Is it Worth Upgrading from the iPhone 6S to iPhone 7? The iPhone 7 has finally arrived and has once again made some huge advances in the world of mobile phones. 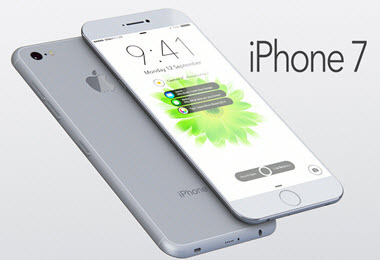 The new phone is sleeker, more defined, and supposedly better than any other iPhone brought out to date. The new device has finally be released and has hit the shelves earlier this month. However, those of you with an iPhone 6S might find the features available with the new phone are very similar to that you’ve already got on your device. So the big question, is it worth upgrading? Firstly, to answer that important question, we need to look at all the differences and how the new device works and everything it has in addition to the iPhone 6S. In this article, we will look at the key differences and see what additional advantages they provide to your iPhone experience. While iPhone seems to have gone for the same design over the last few models since the iPhone 6, the design of the iPhone 7 still provides the smooth edges of the design. However, it has definitely been refined and has a sleeker look to the entire phone. The phone is a bit flatter than before and somehow just fits into your hand a lot better. The latest Apple mobile device also includes different colors and a great mat finish on some of them. The antenna lines on the back have been moved and flow better with the smooth curves of the device. The bottom of the phone includes one of the biggest and most risky moves from Apple as they have completely removed the earphone jack and replaced it with more speaker holes for a better sound experience. However, an additional adapter has is added to the box that changes your lightening plug into an earphone jack. So regarding design, not much has changed, other than the fact that another adapter needs to be carried around to listen to your tunes, or you need to purchase the $160 wireless earphones. The advantages for the iPhone 7 comes in regarding the display that is basically the same, but the iPhone 7 features a bright screen and has the ability to display more colors. The new iPhone 7 has also been made water-resistant for depths up to 1 meter, where it can stay for up to 30 minutes. This is a feature included to prevent accidents and shouldn’t be taken as an opportunity to go swimming with the phone. The biggest advantage on the iPhone 6S is the 3D Touch feature that has completely changed what a mobile phone display is capable of. The iPhone 7 provides the feature, but apparently, it is more refined and responsive on the device. Since the upgrade to iOS 10, the feature has definitely become a lot more enjoyable on the iPhone 6s, but for those of you who don’t use the feature continuously, this will not be a major difference or reason to upgrade. The home button has also been changed completely. In fact, it’s not a button anymore, but more a 3D Touch addition, which provides even more features. The company chose this for the iPhone 7 as it provides even better water resistance and also includes more user options with the software that comes with it. For those of you with iPhone 6s devices, this definitely takes some time to get used to, but definitely, has its advantages regarding features and usability. Internet speeds via LTE have also once again been increased too much faster rates. With the iPhone 6 we found speeds of up to 150mb/s, the iPhone 6s doubled those speed up to 300mb/s, now with the new iPhone 7, users will be able to experience ultra-fast speeds ranging up to 450mb/s. The iPhone 7 also supports more LTE bands, which allows you to enjoy those speeds in more places around the world. So for those of you who travel a lot, the iPhone 7 definitely has an advantage in that regard. The battery has also been upgraded and features 2 hours longer battery life than the 6s, which could just make a huge difference for some users. The iPhone 7 is also the first to feature a quad-core CPU, making it a lot faster than previous devices.